Of course, new beginnings aren’t just for youngsters. 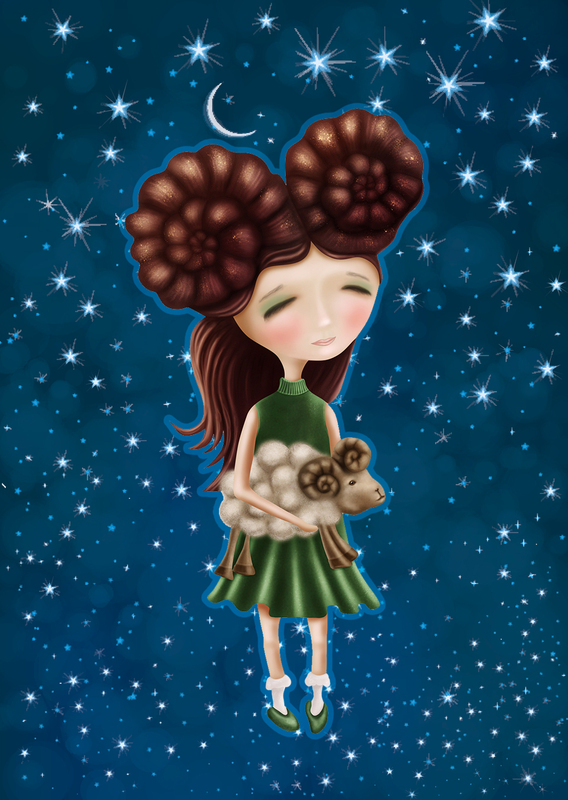 Since Aries represents the self, consider this new moon to be a cosmic green light to do something that benefits you. “Single or partnered, the Libra full moon on April 19 will shed light on your most important personal relationships. Depending upon your individual circumstances, there could be a separation or a deeper commitment,” Clement says. But that’s not all — read on to find out what April’s parenting horoscope has in store for you and yours. April is a big birthday month for young rams, and the universe is celebrating them with a new moon in their sign that promises fresh starts and new adventures. “This is an excellent time to inspire your child to try new activities, set academic goals or become more self-sufficient. Aries kiddos love to be recognized for their accomplishments, so use positive reinforcement to keep your youngster motivated,” Clement advises. 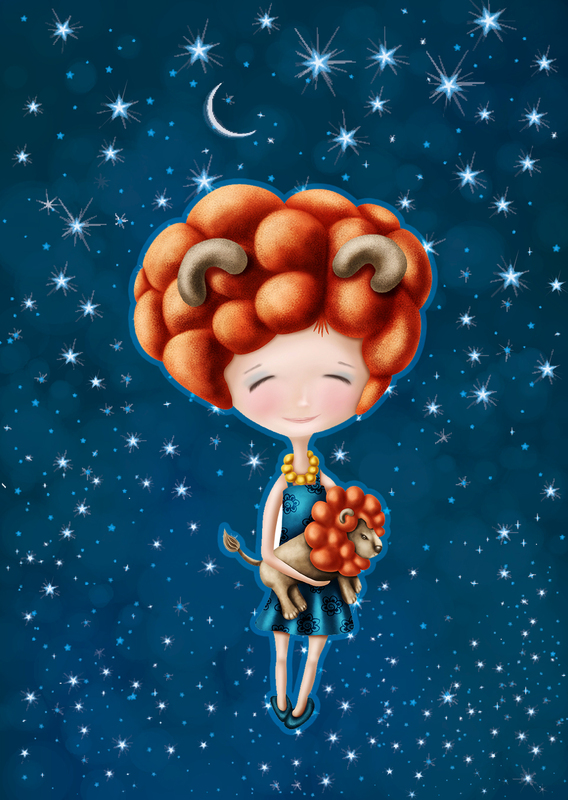 With Mars energizing their third house, Aries children are likely to be more vocal now. “Little ones may start to ask more questions while older kiddos are likely to feel a strong need to express their opinions. Either way, it’s a wonderful opportunity to encourage your child’s intellectual growth, plus your little ram will appreciate your undivided attention,” says Clement. Towards the end of the month, your youngster could come to you for advice about a friendship or even their first crush. If so, embrace the opportunity to teach your kiddo about the importance of balance in all types of relationships. If your typically placid bull seems a tad defiant this month, it’s because Uranus in Taurus is stimulating your tot’s urge for self-determination. “Use this energy to your advantage by encouraging your child’s independence in age-appropriate ways that encourage self reliance and will teach your little one about personal responsibility,” says Clement. 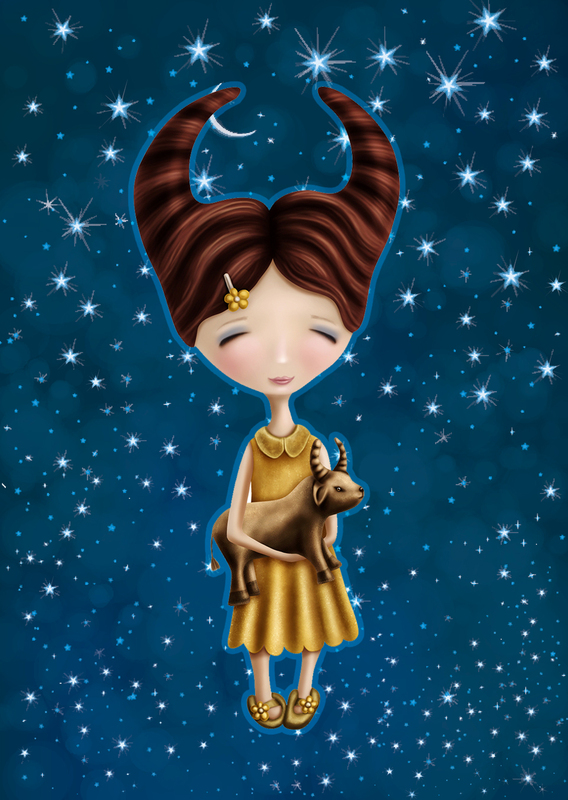 Since Mars and Jupiter are activating the financial houses in their charts, your little bull may look for ways to earn money. Younger kiddos might ask for a bigger allowance in exchange for doing chores, and teenagers might want to look for a summer job. On April 22, tiny bulls could see red when the sun and Uranus join forces in a powerful energy that could make your youngster refuse to take “no” for an answer. “If your child refuses to cooperate, hold your ground — wait for the temper tantrum to pass and blame it on Uranus,” Clement advises. Once the influence passes, so will the behavior. It’s no secret that Gemini youngsters love to socialize, and with Jupiter expanding their circle of friends, your twin’s popularity is on the rise. Little ones can expect more invitations for play dates, while older ones are likely to become involved in a group activity. If your Gemini has been asking permission for a sleepover, this could be the right month to grant your kiddo’s wish. “If you haven’t secured your youngster’s spot in a summer program or made plans to keep their restless spirits busy when school is out, it’s time to get to it. 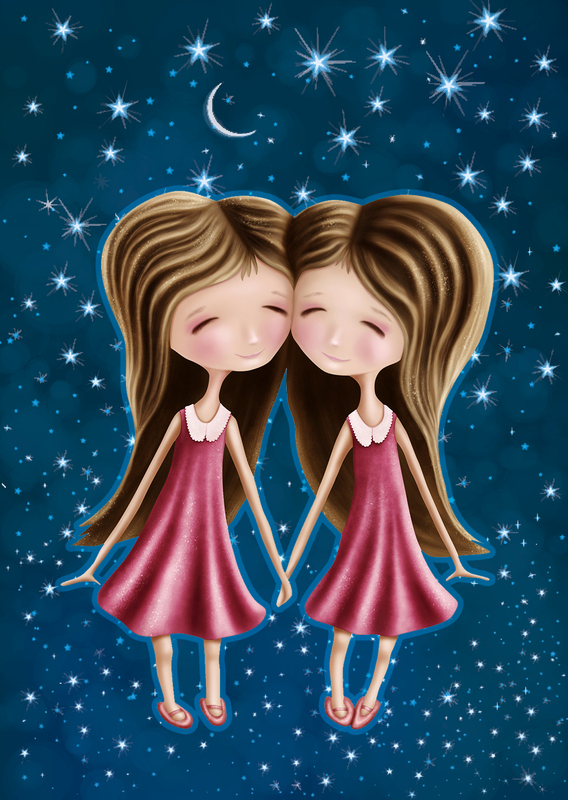 With Mars in Gemini encouraging twins of all ages to take a firm stand, don’t be surprised if your kiddo wants a big say in summer plans,” Clement says. Around the time of the April 19 full moon, you could learn that your youngster has a serious case of puppy love — or that your teenage twin has been invited to a prom. Bring on the taffeta. If you’ve been contemplating a change in your home or career, this month’s full moon could bring it to fruition. While it may be cause to celebrate, remember that Cancer children tend be unnerved by change. So how can you help them deal? “To ensure your kiddo’s sense of security, be sure to keep your sensitive crab in the loop every step of the way,” suggests Clement. “For more than a year, Saturn has been teaching your child about relationships — and some of those lessons may not have been easy. If your tender crab has been disappointed in that area, the good news is that Uranus in Taurus is bringing a breath of fresh air to your youngster’s social circle,” Clement tells SheKnows. For the next several years, opportunities for friends can come through clubs, teams, youth programs, volunteer centers and other group activities. If a college-bound crab has been torn between a far-off dream school and sticking close to home, you can count on the April 19 full moon to usher in a final decision. It’s no secret that Leos love to have fun, and this month young cubs can look forward to plenty of chances to express their playful nature. “Thanks to Jupiter’s presence in Leo’s fifth house, your kiddo’s creative and/or athletic abilities have been getting a boost. Since Mars will be inspiring your young lion to stand out among their peers, this is the month your kid might go for the gold,” says Clement. Both the new and full moon place a strong emphasis on education, travel and communications, which makes April a perfect month to explore learning opportunities for your cubs. “If your youngster is college-bound, you can expect to receive news about college acceptances, scholarships and financial aid opportunities before the month ends,” Clement states. On April 22, the Sun and Uranus will unite in Leo’s tenth house of public recognition and authority figures. This could be a big day for your child, because this powerful energy could put your cub in the spotlight. However, whether it’s for a wonderful achievement or because of rebellious behavior remains to be seen. “To help avoid the latter, keep the lines of communication open so you can help your child diffuse any frustrations,” warns Clement. At times, Virgo kids can be so hard on themselves that they let their fear of not being good enough prevent them from exploring their potential. 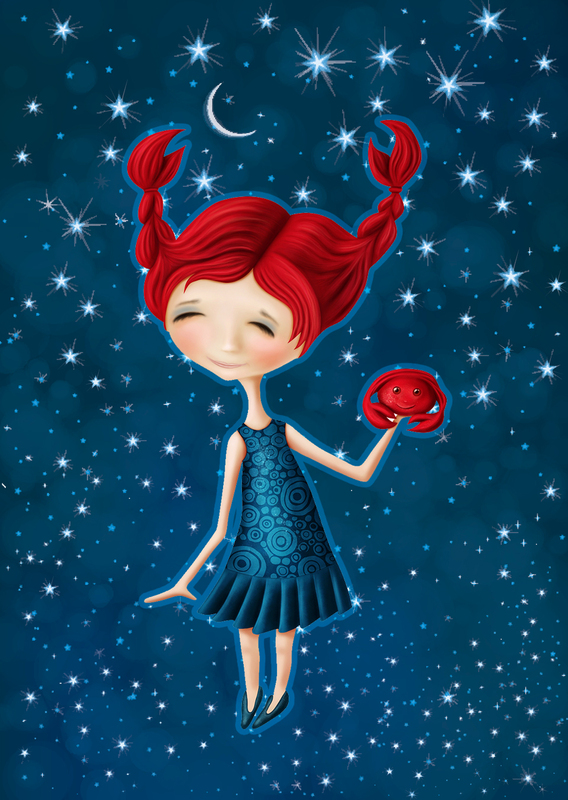 Fortunately, this month offers a wonderful opportunity to break that pattern as Uranus and Mars inspire young maidens to step out of their comfort zone and reach for the stars. “On that note, you could be surprised when your youngster shares a new interest or goal with you. Since this month’s new and full moons place an emphasis on your child’s support system and self-esteem, it’s important that you provide positive reinforcement. Be sure to make it clear that you respect your child’s ideas and want to help your kiddo succeed,” Clement says. If Saturn’s influence in Virgo’s fifth house of recreational pursuits has been putting a damper on your child’s social opportunities, use this time to help your little one explore new ways to have fun. With their natural attention to detail, little Virgos are sure to love age-appropriate arts and crafts — while teens and tweens could discover a passion for cooking, designing or writing. Relationships always rank high on Libra’s list, and this month they occupy the top spot. “In fact, before the month is over, your little one could meet a new BFF or develop a bad case of puppy love,” warns Clement. Since nothing brings a Libra down faster than feeling lonely or left out, they tend to be people-pleasers who are far too accommodating. “Since this month’s new and full moons focus on the give-and-take aspect of relationships, the time is ripe to teach your youngster about the importance of balance and boundaries. With Jupiter in Libra’s third house, role-playing with your child can be a very effective way to help your little one learn these valuable lessons,” Clement says. 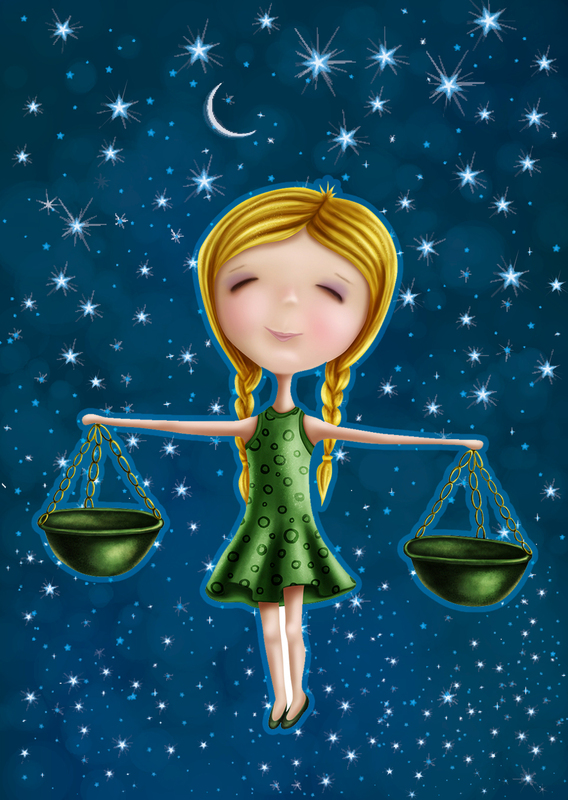 While relationships are a main focus for Libra kids of all ages, this could be the month your Libra teen commits to a course of study or takes a step closer to getting behind the driver’s wheel. “When Uranus moved into Taurus last month, it put Scorpio’s seventh house on notice that some relationships were about to change. If your youngster experiences a separation or seems to be at odds with a friend or a romantic crush this month, make time to sit your little scorpion down for a heart-to-heart talk,” suggests Clement. You see, although Scorpio youngsters feel emotions deeply, they can be tight-lipped when it comes to talking about them. It’s important that you help your child express any feelings of sadness, grief or anger so that your kiddo can learn from it, move through it and be open to meeting new friends that will fill the void. “With Jupiter in Scorpio’s second house all month, your kid may look for ways to earn money to afford a special purchase. 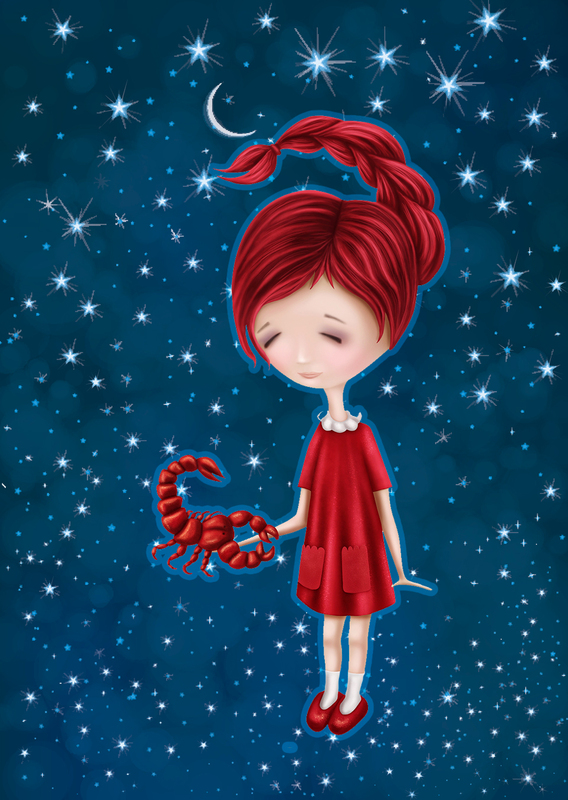 If so, the April 5 new moon can help you find the perfect opportunity for your little Scorpion to do so,” Clement says. With Jupiter in Sagittarius, your little archer is this year’s golden child of the zodiac. “You can help your little one make the most of this cycle of personal growth…support their adventurous spirit and eagerness to learn by encouraging new experiences,” advises Clement. This month could bring an opportunity for your child to get involved with a new sport, team or club. If you haven’t made plans for your kiddo’s summer vacation, and if your budget permits, check out specialty camps or summer youth programs that focus on your child’s interests or will introduce your youngster to new ones. Since all archers are born with a sense of wanderlust, even a short trip to an unfamiliar destination will do wonders to broaden your kiddo’s horizons. 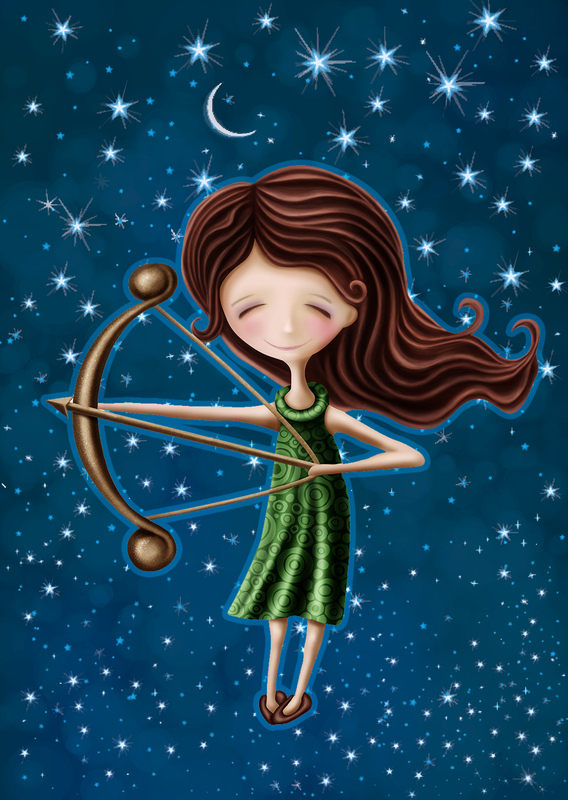 “With the new moon in Sagittarius’s fifth house and Mars firing up the seventh, teenage Archers could be on the receiving end of Cupid’s arrow. If so, take advantage of the situation to have a candid discussion with your youngster about romance,” Clement says. “As Uranus continues to awaken Capricorn’s fifth house for the next several years, young seagoats will become more interested in social events, more confident about expressing their creativity and more likely to be struck by Cupid’s arrow,” Clement told SheKnows. 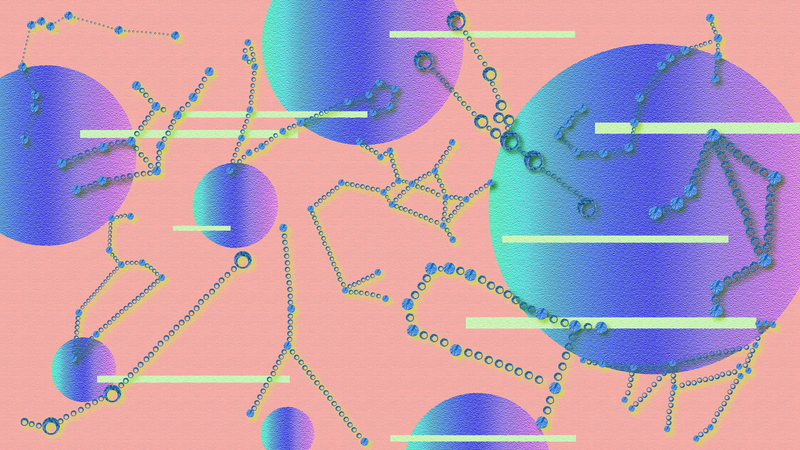 Speaking of creativity, Jupiter has been stirring your little seagoat’s imagination for some time, and thanks to Uranus, your Capricorn kiddo could be inspired to write, draw or join a drama club. In fact, don’t be surprised if your youngster asks for music, voice, art or dance lessons before the month is over. Not in the budget? If lessons aren’t doable, you can check out free after-school activities at your local library or community group, as well as search for free instructional videos on YouTube. 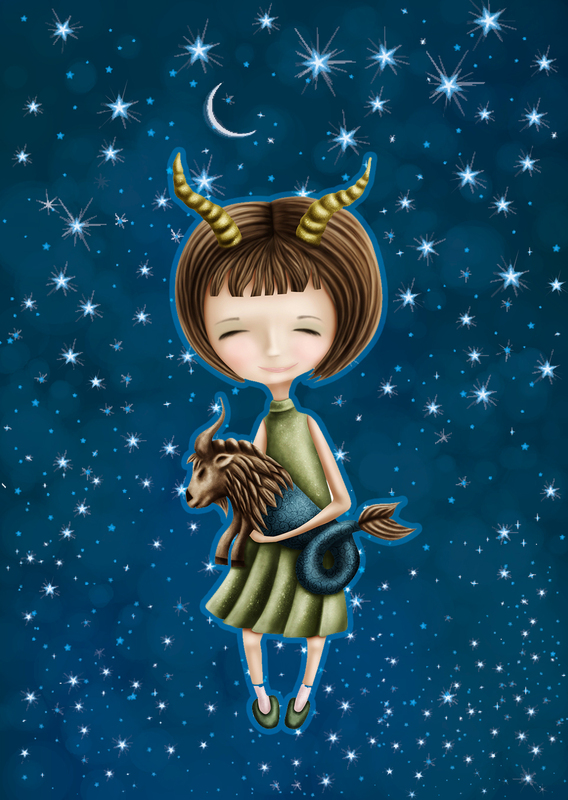 “With Saturn in Capricorn, older kiddos may be feeling a need to define their career goals. Guide your child to clarity by helping your young seagoat research vocations that match their interests, skills and strengths,” Clement says. “With Jupiter in Aquarius’s eleventh house and Mars in the fifth house of fun and games, this is the perfect month for your youngster to meet new friends and get involved in new interests. Since water bearers enjoy teamwork, consider organizing a sports-related event or a group project, such as completing a giant puzzle, for your youngster,” suggests Clement. Now that Uranus has taken up residence in Aquarius’s fourth house, don’t be surprised if your kiddo suddenly asks for more freedom and less parental supervision. If so, make this a teachable moment by giving your young water-bearer an opportunity to earn a new privilege in a way that will teach them about responsibility. “College-bound Aquarians are likely to make a final decision about which school to attend. 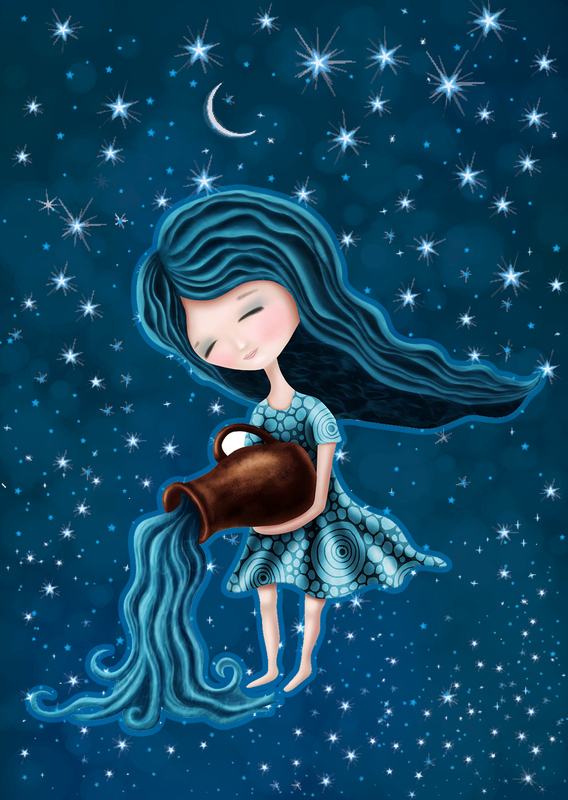 With the April 19 full moon emphasizing faraway places, there’s a good chance your water-bearer will soon be heading to a dorm,” says Clement. So grab some tissues. 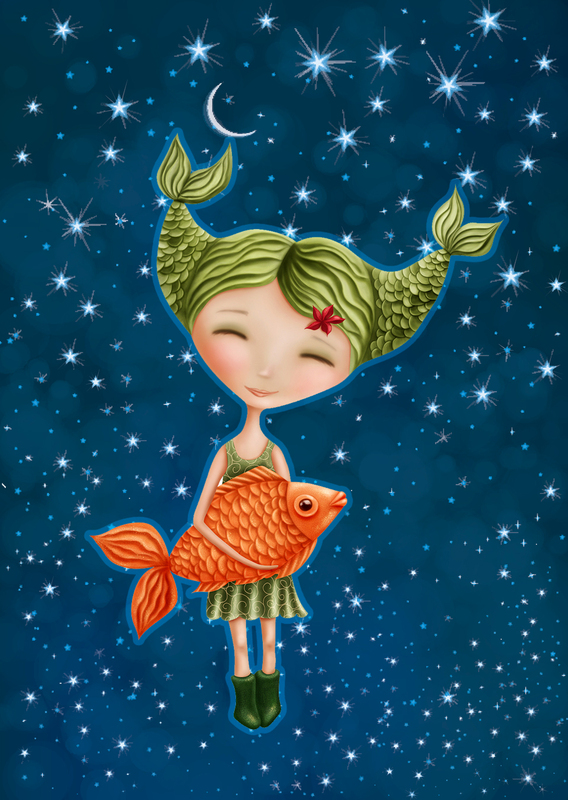 Since Pisces children tend to be shy, they can have difficulty finding their voice. “However, now that Uranus has moved into Pisces’ third house, your little one will find it easier to speak up. You can also count on this influence to stimulate your child’s curiosity, which in turn will inspire your kiddo to pursue new interests,” Clement says. With the April 5 new moon focused on your youngster’s self-esteem, make some time to sit down with your little fish and discuss this with your kid. If you feel your child’s self-image needs help, you may want to discuss ways to improve it with your child’s teacher — or seek the advice of a child counselor. 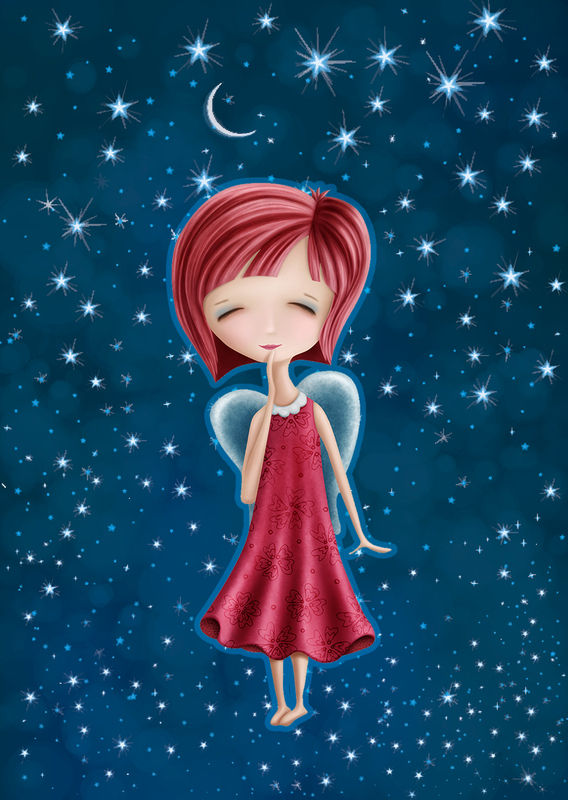 “With Venus keeping Neptune company in Pisces until April 20, your youngster is likely to feel inspired. If you notice that your little fish is distracted, encourage your kiddo to channel those daydreams into a creative project,” suggests Clement.